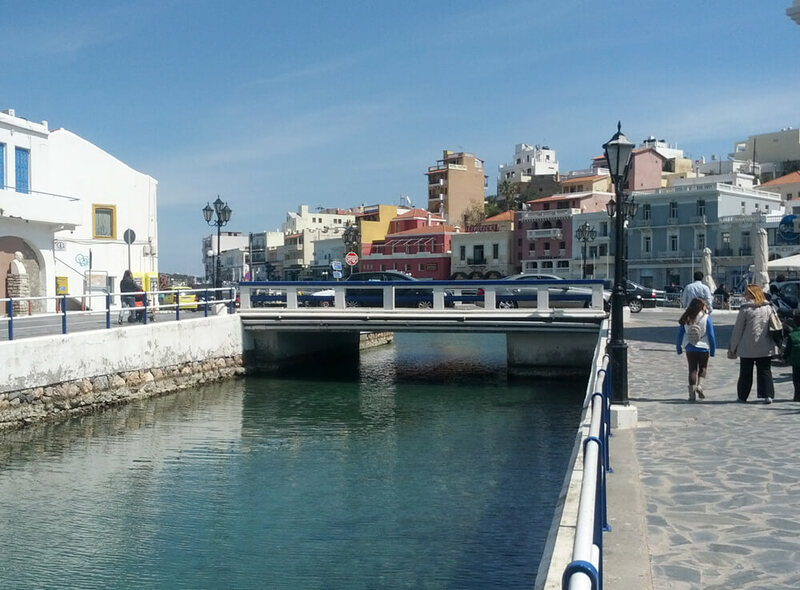 This tour can be organized as a full day tour (duration 9-10h) starting from Agios Nikolaos or even Heraklion. 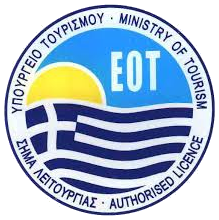 We propose though to choose this tour as a part of a round trip on Crete. More time available, means more fun and a complete experience. We can start early from your location (your hotel) and drive towards Sitia. On the way there we can stop for a coffee at the village Kavousi. A sort stop at Sitia, (perhaps a visit the archaeological museum) and we will continue for Zakros. The itinerary can be decided together with our guests. 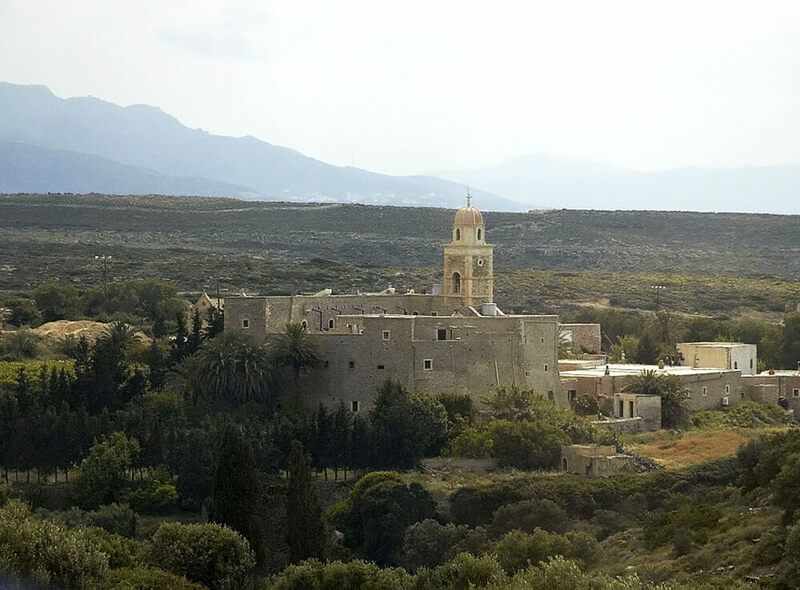 Moni Toplou is a monastery of the 15th-century located in a dry and barren area in the Lasithi regional unit. It is about 6 km north of the village of Palekastro and 85 km east of Agios Nikolaos. 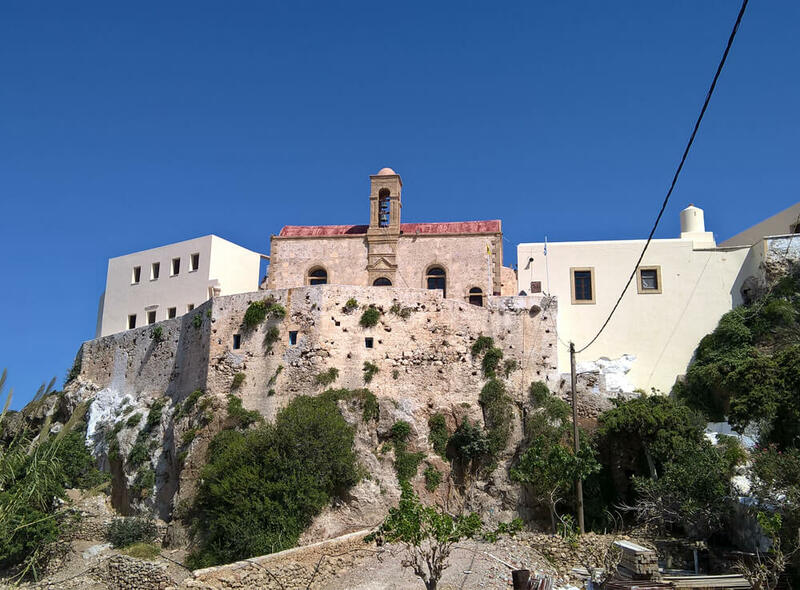 The monastery was originally called Panagia Akrotiriani (Virgin Mary of the Cape), after the nearby Sidero cape. Its current name literally means “with the cannonball”, thus called by the Turks for the cannon and cannonballs (Turkish: top) it had in its possession for defensive purposes. Toplou monastery is one of the most significant monasteries in Crete, dedicated to Panagia (Virgin Mary) and St. John the Theologian. 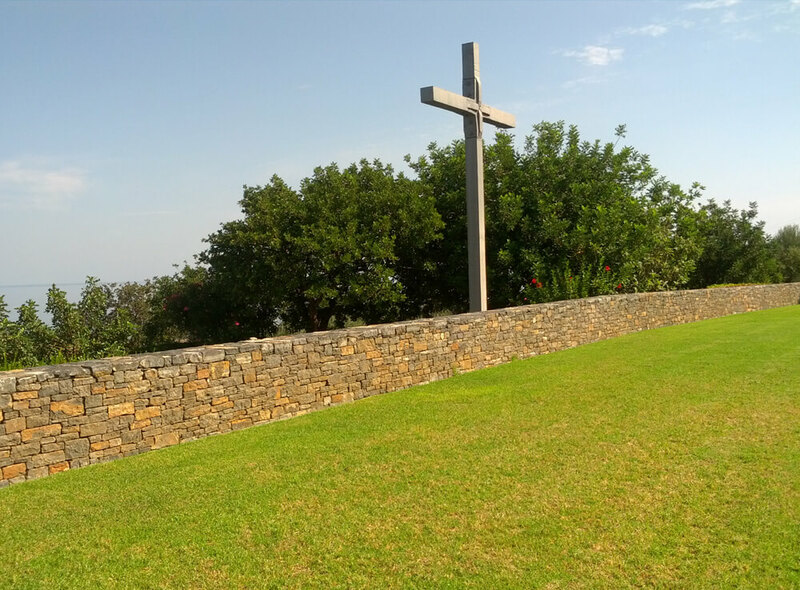 It was founded around the mid-15th century, probably on the ruins of an earlier convent. The monastery was plundered by the knights of Malta in 1530 and shattered in 1612 by a strong earthquake. 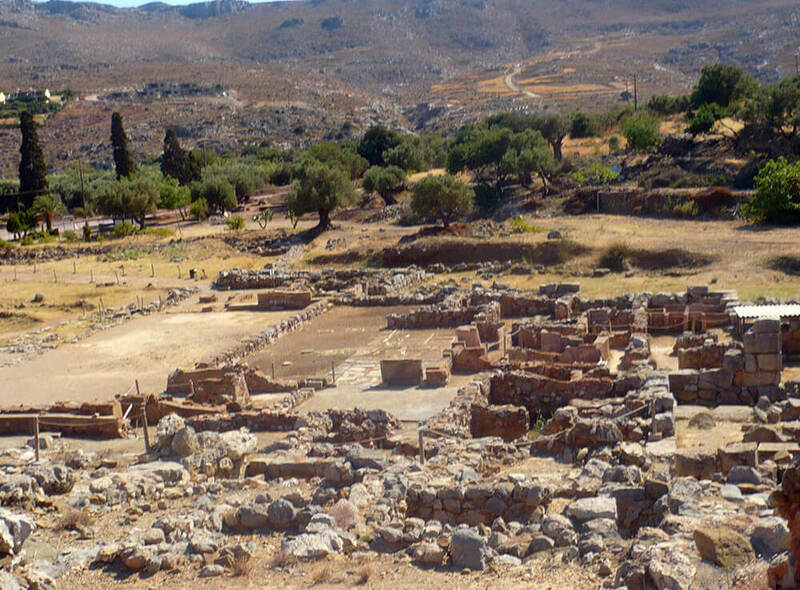 The Palace of Zakros, the most isolated of all the Minoan Palaces, is located on the east coast of Crete, south of Palaikastro. Its position shelters it from the dangerously strong north winds that pass Cape Sidero on the northeast tip of Crete. It was the last of the major palaces to be discovered and is smaller than the other three at Knossos, Malia and Phaistos. The Palace of Zakros probably acted as the Minoan gateway to the east and this view is supported by various movable finds on the site which had come from the Middle East. The Palace was surrounded by the town, of which only a part has so far been excavated. We will have the opportunity to visit the magnificent palace and see the place where the artifacts were discovered. 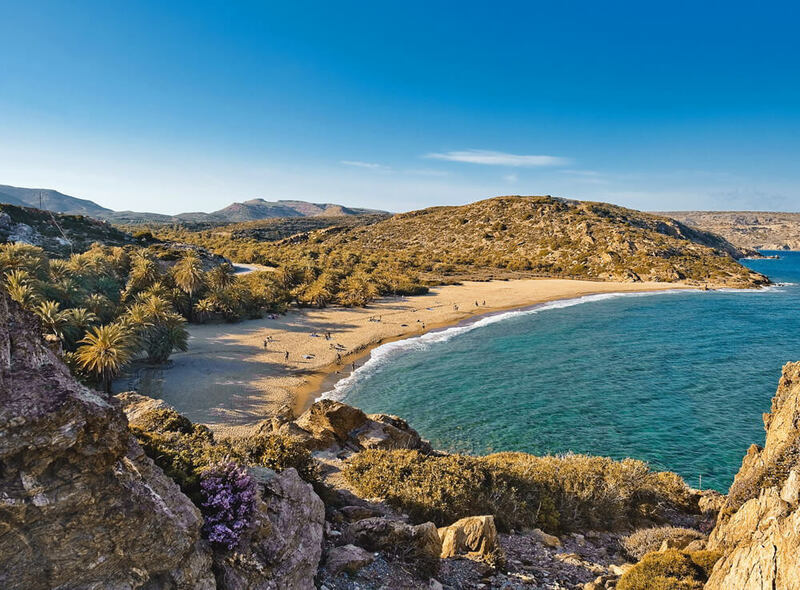 The gorge of Zakros nearby: The entrance to the gorge of Zakros is located outside the village of Pano Zakros just 99 kilometers north-east of Agios Nikolaos and 39 km south-east also from Sitia. Vai, or to be precise the palm forest of Vai, is one of the most popular part on Crete and one of the most beautiful and special places in the whole Mediterranean. Definitely a place to be, to take amazing pictures and of course explore with your licensed guide the nearby archaeological site of Zakros.